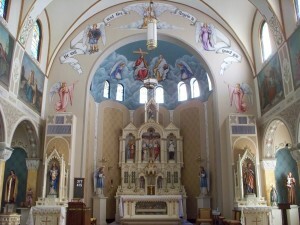 Autenrieb Murals and Statue Restoration continues the traditions of renowned muralist Max Autenrieb, who traveled from Germany in the 1920s to paint custom murals at St. Boniface Church in Edwardsville, Illinois. Max later started Max Autenrieb Church Interior Decorating, which is currently is a four-generation family church painting and restoration business run by Max’s grandson, Kevin Autenrieb. Autenrieb Murals and Statue Restoraion emerged as the company became more specialized in murals and statue work, and is owned and operated today by Max’s granddaughter, Brenda Wasser, who trained directly under Max and has a degree in fine art. Max’s grandchildren Kevin Autenrieb and Brenda Wasser, along with their dedicated staff, maintain the highest standards of excellence as they continue the specialized artistry of beautifying, decorating, and restoring church interiors. 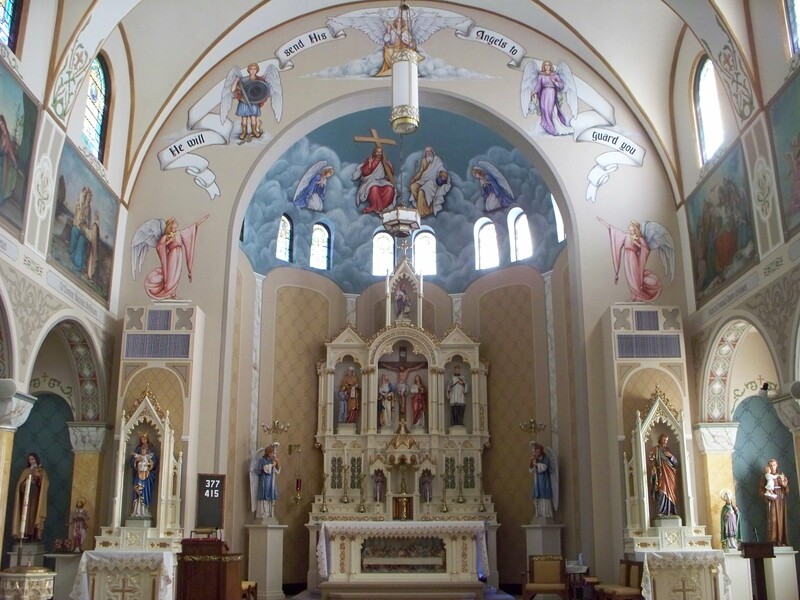 We restore damaged or current wall murals to near original condition and beauty or we can design new works that are custom made to fit the size and color scheme of your church. Our skilled artists work with any size canvas, small or larger than life, in our studio or on location at your church. All our work is completed on canvas and can be installed or removed without damaging the mural. Our quality oils and acrylics will add a brilliant flair to the walls of your church for many years. We repair and refinish all types of statues, stations and nativity sets for indoor or outdoor display. We can also order and finish statuary to your specifications. Our refurbishing process begins with repairing any cracks or holes and recreating any missing appendages. Our skilled staff is able to repair anything to its original condition: from a broken hand, to an entirely shattered statue. After repairs, the statues are hand painted and air-brushed using only the highest quality products to ensure lasting color and brilliance. 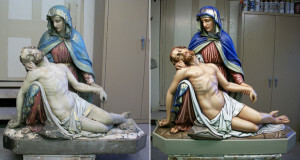 The statues can be refinished in full traditional color, in glazed ivory tones, or in customized colors to match the color scheme or your church. After refinishing, most statues are trimmed in 23 karat gold. We take pride in our statuary work and want you to feel proud when our work is displayed in your church.